If you have been considering choosing a Mitsubishi Outlander Sport lease from a dealership near New Orleans, LA, you might be asking yourself if leasing is really right for you. After all, you could always choose to secure an auto loan instead. The truth is that both of these payment methods are valid for drivers trying to find great cars to drive. But there are some benefits to a lease that you just won’t find when you choose to buy your car with the help of a loan instead. Get a closer look at some of these benefits, and you may realize why leasing is such a great option for you. You don’t want to spend more money than you have to when you are shopping for a car from a dealership near New Orleans, LA, do you? Nobody does. Therefore, you are probably trying to be as cost-effective as possible. Though it’s true that auto loans may be slightly less expensive in the long run, you can spend less up front when you choose a lease. That’s because you don’t have to pay for the total cost of the car. You’re just spending money on how much the car’s value will depreciate. So, if you want to spend less when you sign for your car, a lease just might be the way to go. Do you always want to drive something new? If you love having the latest and greatest, then a Mitsubishi Outlander Sport lease is the perfect option. That’s because you will generally only keep a leased car for about three years. After that, you can take the vehicle back to the dealership and get something new. Isn’t that fun? When you sign a Mitsubishi Outlander Sport lease, you’re also getting the benefit of having fewer ownership responsibilities. It’s a lot of work to take care of a car, and you may not want to put that much time and effort into your vehicle. But because the dealership will handle some of your maintenance needs when you lease, this shouldn’t be too much of a problem for you. Ready to find the perfect vehicle for you near New Orleans, LA? 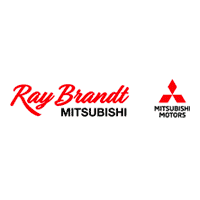 Come see what we have in stock here at Ray Brandt Mitsubishi.